Klein Tools Full body safety harness positioning retrieval features durable 1-3/4-Inch type 13, or equivalent nylon webbing harness construction. Includes adjustable circle D-ring, leg strap, seat strap, chest strap, waist strap, shoulder strap, tongue buckle integral positioning/tool belt, tunnel loop tool pouch, holder and easy connect hardware. 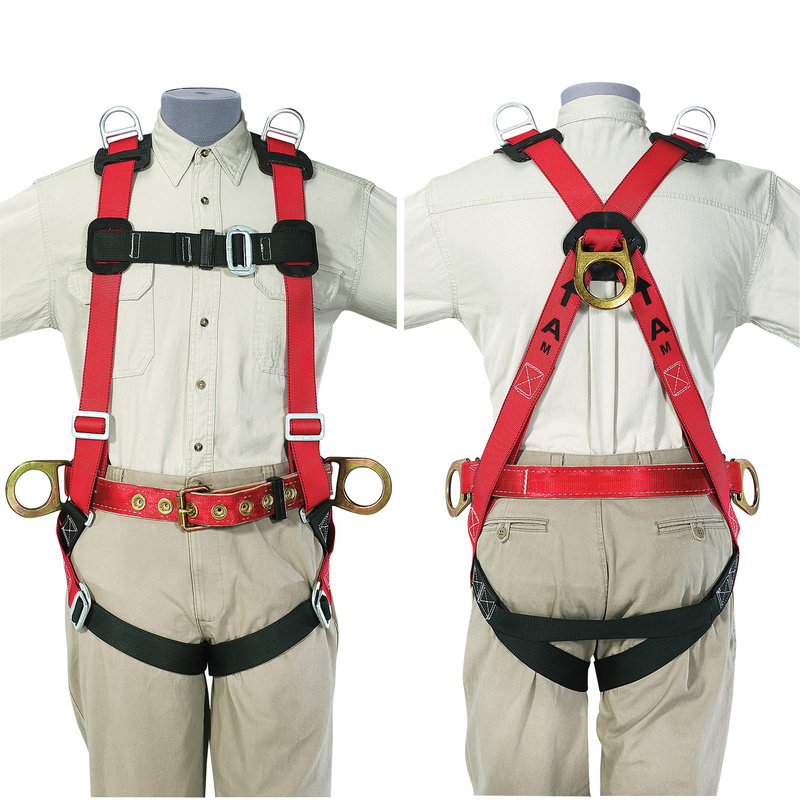 This harness positioning retrieval is suitable for fall-arrest, positioning and in retrieval applications. Harness positioning retrieval is CSA certified, OSHA compliant and meets ANSI standards. * Inventory displayed is accurate as of 04/23/2019 06:40 EDT.